For just one day, one race unites 21 countries around the globe. The Global Energy Race is all part of a worldwide initiative that promotes active living and physical activity for families. With more than 115 cites involved including three in Canada—Toronto, Richmond BC and Quebec City—runners are able to register to run with someone in another city, extending their running connections within the global community of runners. 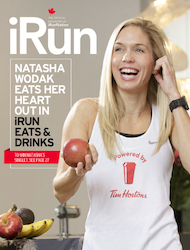 Along with uniting as a running community, the event, which features a 3-kilometer run for families and children, and a 10-kilometer run, also raises awareness of the need of local food banks. In Canada, for every kilometer participants run, two slices of bread is donated to local food banks by Dempsters in the races respective cities. This year’s race ambassadors included Olympians Adam Van Koeverden (Toronto) and Alex Harvey (Quebec City) and CFL Hall of Fame inductee and three-time Grey Cup Champion Geroy Simon. Here’s why running is still a big part of Simon’s life and why it was important for him to be involved in the Global Energy Race. iRun: How is an event like this so different than running another race? GS: With this event, it’s all about getting people up and active worldwide. As well as the donation of two slices of bread to the food bank for every kilometer ran or walked. We are giving food to people who are less fortunate and giving them the ability to have a positive impact on the community. 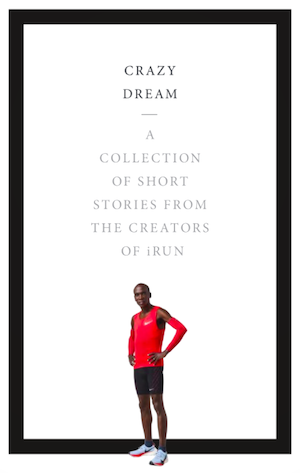 iRun: As an athlete, what has running given to you, more specially can you speak to the connection you have given your sport? GS: Running is at the core of my sport. If you cannot run you cannot play professional football so in the offseason I spend 50-60% of my time running to make sure I’m in peak condition to handle a 18-21 game season. iRun: What gets you motivated to lace up your shoes and go for a run and what do you listen to when you run? GS: I run for peak performance and staying healthy. I’m motivated to stay in great health. There are machines that can help with staying in shape but to be at your absolute best, running is the best way to get there. I’m and old soul, so I listen to R&B, no too much rap or country.